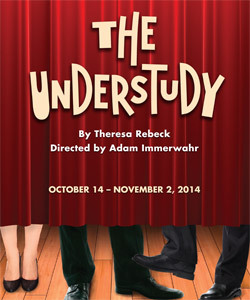 Theresa Rebeck is a widely produced playwright throughout the United States and abroad. NYC productions of her work include Dead Accounts at the Music Box Theatre; Seminar at the Golden Theatre; Mauritius at the Biltmore Theatre in a Manhattan Theater Club Production; The Scene, The Water’s Edge, Loose Knit, The Family of Mann and Spike Heels at Second Stage; Bad Dates, The Butterfly Collection and Our House at Playwrights Horizons; The Understudy at the Laura Pels Theater in a Roundabout Theatre Company production; and View of the Dome at New York Theatre Workshop. Omnium Gatherum (co-written, finalist for the Pulitzer Prize in 2003) was featured at the Humana Festival, and had a commercial run at the Variety Arts Theatre. In television, Ms. Rebeck has written for Dream On, Brooklyn Bridge, L.A. Law, American Dreamer, Maximum Bob, First Wave, and Third Watch. She was the creator of the NBC drama Smash. She has been a writer/producer for Canterbury’s Law, Smith, Law and Order:Criminal Intent and NYPD Blue. Awards include the Mystery Writer’s of America’s Edgar Award, the Writer’s Guild of America award for Episodic Drama, the Hispanic Images Imagen Award, and the Peabody, all for her work on NYPD Blue. She has won the National Theatre Conference Award (for The Family of Mann), and was awarded the William Inge New Voices Playwriting Award in 2003 for The Bells. In 2011 she was named one of the 150 Fearless Women in the World by Newsweek. The Understudy is made possible in part by funds from the New Jersey State Council on the Arts/Department of State, a Partner Agency of the National Endowment for the Arts and by funds from the National Endowment for the Arts. Under the leadership of Artistic Director Emily Mann and Managing Director Timothy J. Shields, McCarter Theatre Center is recognized as one of the nation’s premier theater companies. Renowned for major contributions to the theatrical canon, McCarter premieres include Christopher Durang’s Vanya and Sonia and Masha and Spike (winner of the 2013 Tony Award® for Best Play) and Miss Witherspoon (both commissions); Tarell Alvin McCraney’s The Brother/Sister Plays; Will Power’s Fetch Clay, Make Man (commission); Edward Albee’s Me, Myself & I (commission); Emily Mann’s Having Our Say; Danai Gurira’s The Convert; Beth Henley’s Ridiculous Fraud (commission); Regina Taylor’s Crowns (commission); Dael Orlandersmith’s Yellowman (commission); Athol Fugard’s Valley Song; and Stephen Wadsworth’s Marivaux trilogy. McCarter has also produced major new productions of Brian Friel’s Translations, directed by Garry Hynes; Nilo Cruz’s Anna in the Tropics and Edward Albee’s All Over, directed by Emily Mann; and Electra, directed by David Leveaux. McCarter is supported by Princeton University, the New Jersey State Council on the Arts, and over 3,000 individuals, corporations, and foundations. McCarter Theatre is located at 91 University Place in Princeton, NJ. For more information, www.mccarter.org. Construction continues around McCarter for Princeton University’s Arts & Transit project and the expansion of the Lewis Center for the Arts. This will have an impact on parking, traffic, and transit in and around McCarter through early Fall 2014. Stay informed by visiting mccarter.org/VisitorInfo to get the latest construction updates.